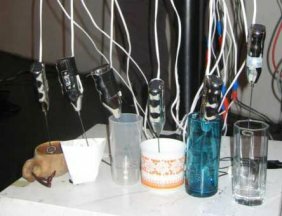 midi-sequenced cappucino maker devices in different cups with contact microphones. 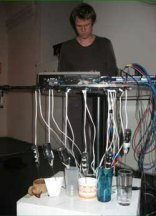 6 cappucino makers are wired to midi-controlled relais that are sequenced by a computer. the sounds are recorded and (slightly) processed live.